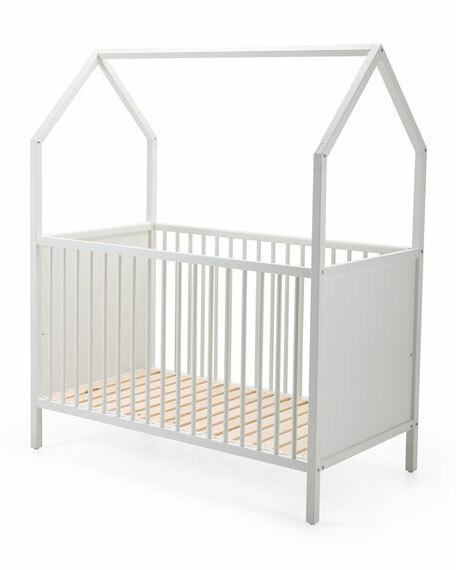 The heart of the Stokke® Home nursery. 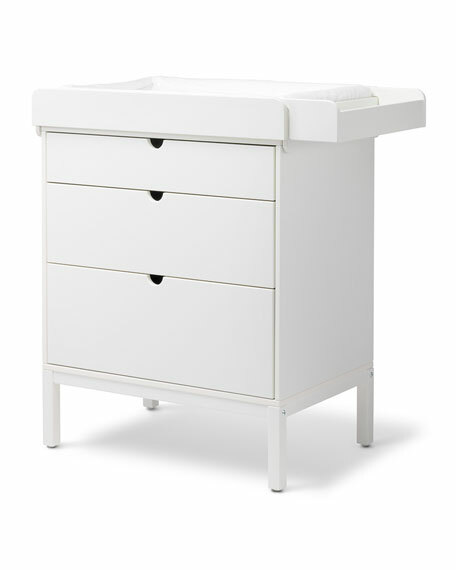 Together with the cradle, the changer and the dresser, it offers countless possibilities for designing the perfect room for your newborn. 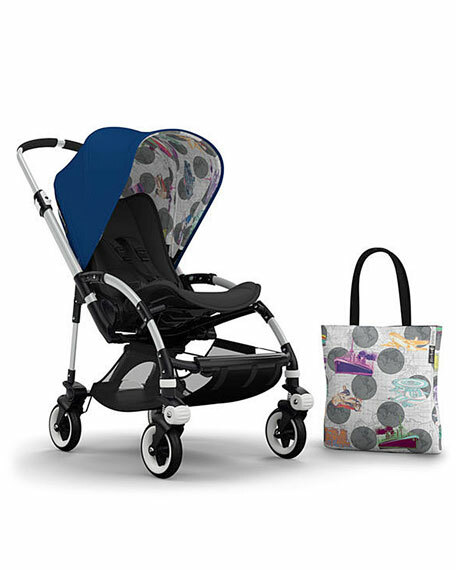 Not only is the concept ideal for your newborn as well as your growing child, but it is also flexible enough to be customized no matter the size of your nursery. When your child outgrows the bed around the age of 5, you can continue using it as a sofa and playhouse. Approx. 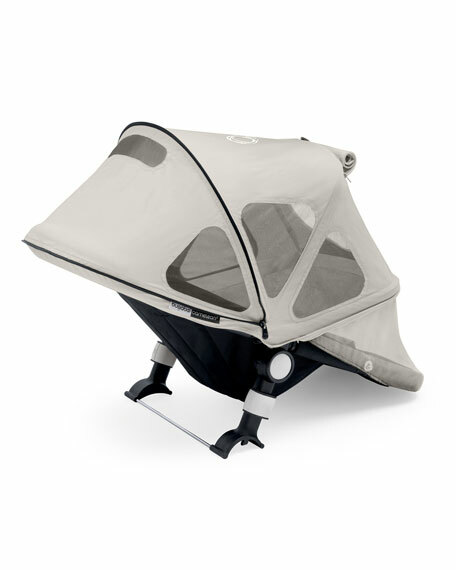 54"L x 29.5"W x 64.5"H.
Soft, light canopy that shades your baby. 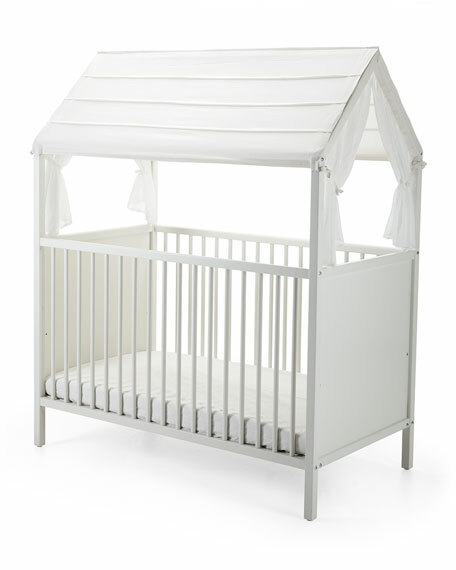 Creates a protective and peaceful place for your newborn to sleep. Encourages creative play by creating a roof for a playhouse. Please note: You have chosen a natural product made of linen and cotton. When washing this durable textile, or when exposing it to sunlight, the color may fade over time. 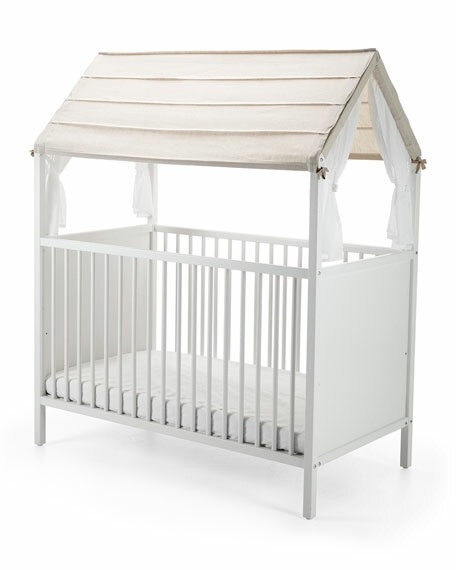 The textiles are available in classic White and undyed Natural. Notice that undyed textiles naturally may have subtle color variations. 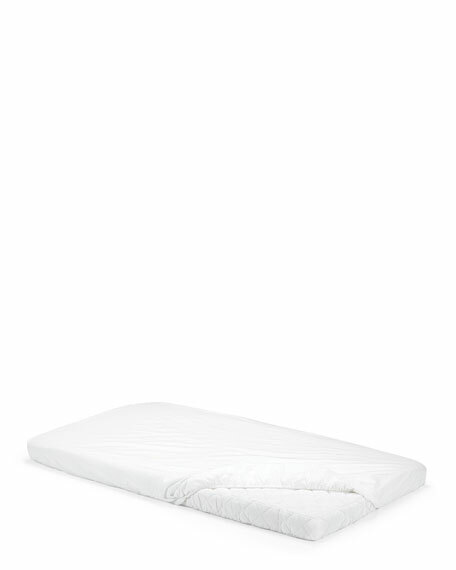 Stokke® Home bed fitted sheet. 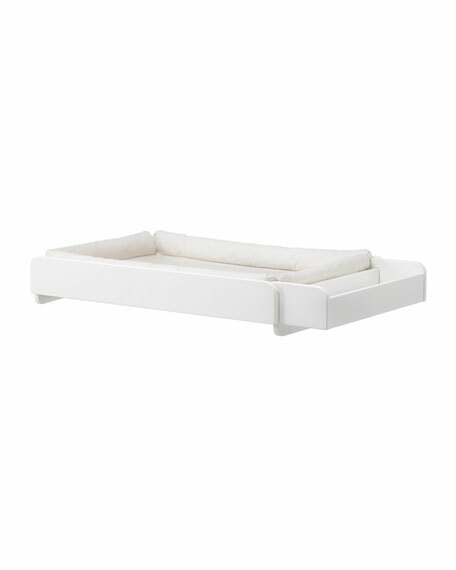 Fits the Stokke® Home bed mattress. 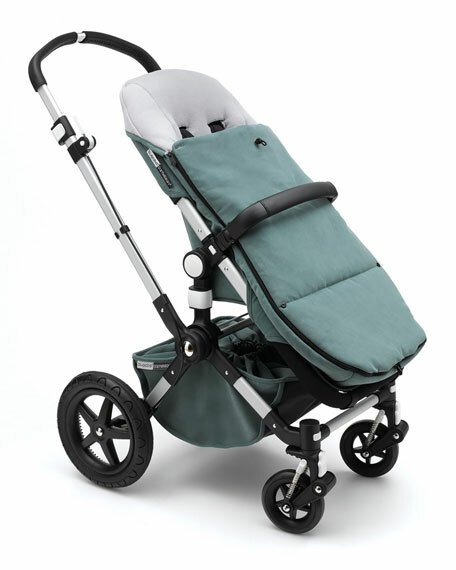 Stokke® Home mattress by Colgate. 5" thick eco-friendlier eco-foam replaces some petroleum-based oils with oils from non-food plants. 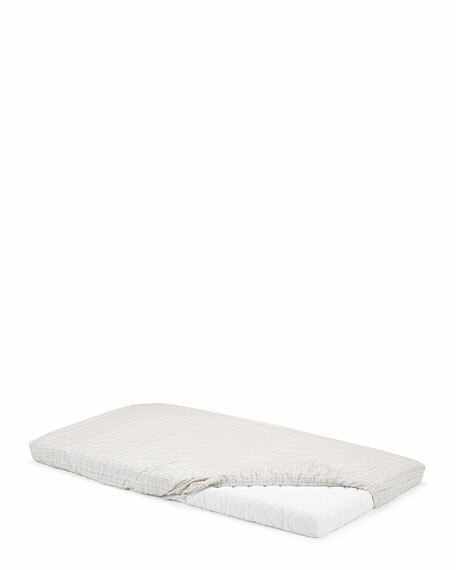 Damask cloth cover with waterproof backing puts cloth closest to baby's skin and lets nothing inside the mattress. 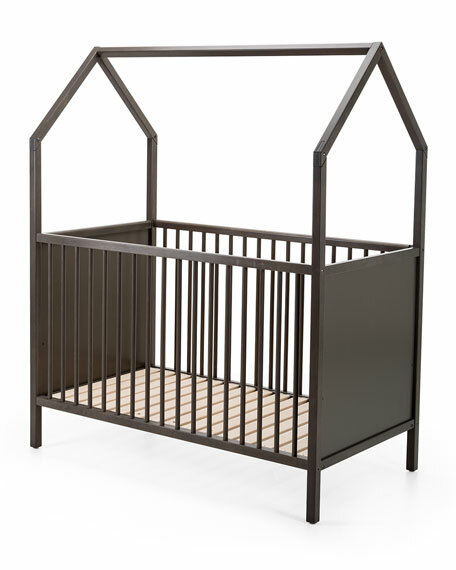 Square corners provide a snug fit in all American cribs and toddler beds. Greenguard® and CertiPUR-US® certification proves no harmful gas emissions. Independent lab tested to be C.P.S.I.A. compliant to all chemical standards. Approx. 51.6. 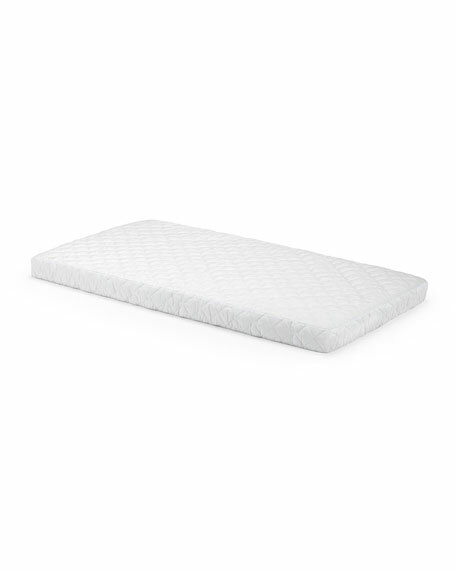 "L x 27.3"W x 5"H.
Manufactured in USA by Colgate, The Crib Mattress Specialist! with over half a century experience.